In order to offer the best possible service to our customers, we also have a stock collection of socks. We have chosen to stock our products in four different categories: Light, Mid, Heavy och Medical. 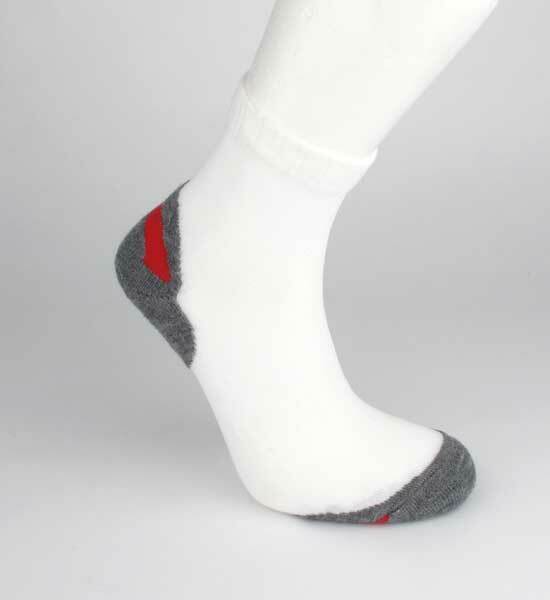 Light is a thinner sock, Mid is a slightly thicker sock in technical and functional materials, Heavy is a warmer functional sock and Medical is a sock that improves blood circulation, prevents swelling and discomfort while travelling or sitting still. It is not possible to add a logo to the socks in our stock collection. Do not hesitate to contact us if you have questions regarding our stock collection. We are looking forward to assist you in finding the perfect sock that ticks all your requirements.